Bangladesh officials say plans to begin repatriating more than 700,000 Rohingya Muslim refugees to Myanmar have been scrapped after officials failed to find any who wanted to go. A U.N.-brokered deal between Myanmar and Bangladesh says refugees can only be repatriated voluntarily. U.N. officials and human-rights groups cautioned against beginning the process before the refugees’ safety had been assured. About 1,000 Rohingya Muslim refugees demonstrated Thursday at a camp in Bangladesh against plans to repatriate them to Myanmar, from where hundreds of thousands fled army-led violence last year. 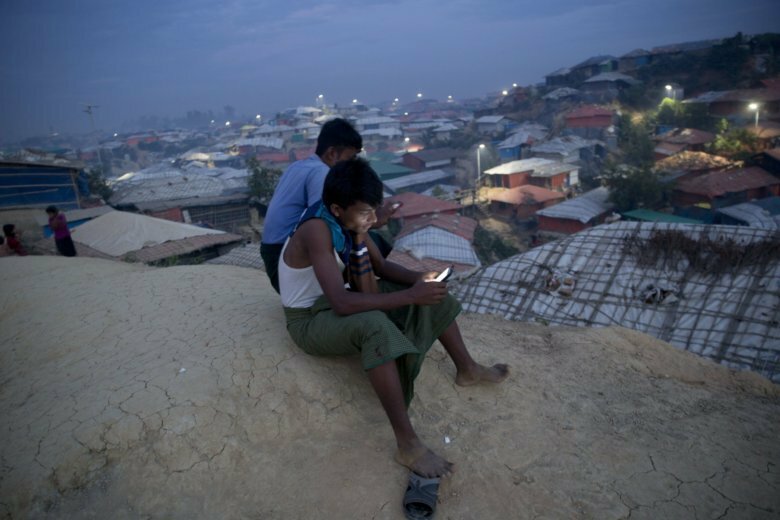 At the Unchiprang camp, one of the sprawling refugee settlements near the city of Cox’s Bazar, a Bangladeshi refugee official implored the Rohingya to return to their country over a loudspeaker. Bangladesh authorities said the repatriation of some of the more than 700,000 Rohingya would begin Thursday if people were willing to go, despite calls from United Nations officials and human rights groups to hold off. But it’s not clear whether there are any volunteers.